ARRENDELL Education offers tutoring sessions for children Kindergarten to Year 12 – HSC. There are two lesson formats available; group or individual. Over 90+% of our survey respondents rated our programs as “high quality”, and 98% stated their children “enjoyed attending” classes at ARRENDELL Education. Student carry bag and all resources needed; text, workbooks and stationary etc. Base lesson fee only. Library and Resource fee are in addition. To receive the Early Bird Rate you must be a current ‘loyalty’ and active family who have been enrolled prior to 2017. To receive the Early Bird Rate, payment is required in full, prior to the start of a new term. An Early Bird Rate is a discounted fee of $50.00 that will apply if the full-term fee is paid prior to the commencement of the new term. Payment plans may be available upon request. Full fees are due at the commencement of each term. This is a professional fee charged for the term. There are no weekly fees. There are no refunds or credit unless the teacher is unavailable for the lesson, and no credits will be carried over to next term. If 24 hours notice is given, the 2 hour group lesson only can be made up at another time that week or by attending two sessions in a subsequent week during the term. Individual lessons or 1 hour groups cannot be made up. We accept payment by cash, EFTPOS or direct deposit. These Terms and Conditions expire and may need to be renewed at the end of each term. Contact us to obtain bank account details. Enter your child’s first and last name as the description (not your name). clearly stating their first and last name (not your name) in each of the deposit descriptions. Cancellation Policy: Please be aware that there are no cash refunds. Credits will only be processed in exceptional circumstances. 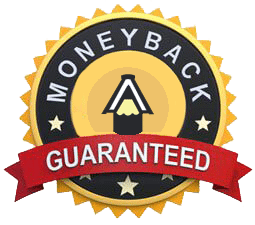 At ARRENDELL Education we are so confident in our services that we offer you a first lesson money back guarantee. If you are a new client, and are not completely satisfied once you have tried a tutoring session, you will receive a full refund of all payments made. Our money back guarantee allows students to experience a tutoring session with no financial penalty if they do not enjoy the experience. We are confident that our teachers and tutors are the best – so come and enjoy the learning experience at ARRENDELL Education.